Must Have has been around for five years. Why are you making the change now from monthly to quarterly boxes? subscribers is a highlight of my job. Over the past year, we’ve received feedback from customers that while they love their surprise box every month, they can sometimes get overwhelmed by the sheer number of products. We’ve also had a very positive response to our Limited Edition boxes — they are fan favorites. So we listened! Moving ahead, we will slow the pace of delivery and will pack each box with more high-end luxurious treasures. These upcoming boxes are our best yet, and we are really excited to make the change based on feedback. What types of products/brands should customers expect in the new Must Have box? We will lean on our Limited Edition boxes as our template and provide a range of higher-valued products and fine brands covering beauty, fashion, and home. Will there be a price change? Yes, our new program will offer over $250 worth of products in each box for only $75 + tax per box. How many products can customers expect per box? Each box will contain at least six or more products. Sneak peak — our first quarterly box will have more than eight! Are Add-Ons still available for each box? Yes, we will continue to offer Add-Ons for each box, so you can add even more specially curated Must Have picks to your box. When are the new billing cut-off dates? How do active subscribers get the quarterly box? By doing nothing! No action is required by customers with active subscriptions. All active subscriptions will automatically be signed up to receive the quarterly box and will be charged $75 + tax per box on April 23. How do current subscribers opt out of receiving the quarterly box? If customers with active subscriptions do not want to receive their quarterly box, they just need to log into their account and close their subscription by April 15. They can do so by clicking Account > Subscriptions > Cancel This Subscription. Our customer service team will be contacting you directly regarding any existing subscription credits in your account. What do you think about the changes? I love getting my monthly POPSUGAR boxes, so this is a bit of an “end of an era!” moment for me, but at the same time I LOVE their Limited Edition boxes, and I’m excited to see what the new quarterly boxes will include. I’m actually happy about this change. I cancelled my PSMH subscription due to product overload. As someone who’s been getting subscription boxes for over 4 years, I’ve accumulated a lot of stuff (most of which is given to family/friends or donated). Right now I only subscribe to FFF (since they are quarterly), but this might get me to come back to PSMH. Pretty bummed about this. I loved the monthly boxes, but have never been a huge fan of their LE boxes. It kind of feel like we are getting cheated somehow. Same here- I like getting the boxes once a month. I like the current value of items. I have never seen an LE box that I wanted. I’m going to give it a chance but I’m disappointed. There is a LOT of competition with quarterly boxes. The only edge this has is that it’s less than $100. I will hold off on resubbing until I read a few reviews. If every box was like a limited edition, then I’m in. But if they wind up like slightly pumped up versions of the monthly, I’m out. Too much of a gamble. 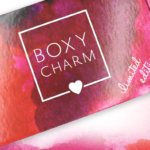 I thought about ordering the February box to get the last monthly box (not currently a subscriber, but have bought single boxes when available), and went to their website. No information on website about ending the monthly subscription and going to quarterly. Must be only telling current subscribers the new plans at this time. I was wrong, they are providing the information on the FAQ page. Any chance Liz that they will offer a discount on this to get us to bite? Popsugar is my favorite box and will miss monthly boxes! Will give the quarterly box a try! Will miss limited boxes! Just don’t want them to fold shop! If there are 8 items in the first quarterly box for $75, then apparently there will be no hero item like the SE boxes had..
WHY does this company still have the mindset that ” More items equal better boxes?” If I was 15, I might feel that way, but as a mature adult, I value QUALITY over QUANTITY every single time in all aspects of my life. I’d rather have quality and KEEP the item ( or use it up if it’s a cosmetic item) than leave it in the guest room upstairs with all the unopened sub box leftovers I don’t want. Or have to replace something not well made or on trend soon after it arrives, which does happen to me with FFF sometimes. Agree with this! I overall like the move. But I do wish it was less stuff and more like an LE than just an inflated monthly. I’ll hold complete judgment until the first box comes. It stated 6 or more items. The monthly has six? It just said that the first box will have 8. It looks like they are going to be in competition with Sugarbash’s new $75 quarterly subscription which just gave another sneak peek spoiler for their first Spring box with the same dessert plates that were in the PS 2017 Winter LE box… Maybe it will be high end LE boxes every time at the lower cost of $75? More does not necessarily mean better. I liked their LE boxes generally more than the monthlies. This is a good business move. It will give them time to curate better seasonal boxes so we get good quality products perfect for each season. I think the price point is fair but fabfitfun has more bang for your buck. Looking forward to their first quarterly box. As someone that really enjoyed getting my monthly box of goodies, I’m sad. Plus I always enjoyed their monthly boxes more than the LE boxes. I’m more of a “practical, give me I can use” kind of gal. The LE boxes were hit or miss for me. I don’t need a $125 scarf by some certain designer. Since I have a few credits on file, I’ll play those out and see how it goes. But overall I’m so sad to see my monthly surprise go away. Even SugarBash went quarterly. Any comparable monthly lifestyle subscriptions that aren’t too expensive recommended??? California Found is a great lifestyle box with an arty edge. I second this. I just posted the Jan. box on the forum, Laura Hon. I’m totally with you. I loved getting functional items each month. I even got excited when they sent out coconut flavored dental floss lol. The monthly box is such a nice pick me up. It will be a bummer to have them so spaced out. I am so disappointed in this news. I came late to the Pop Sugar family and just subscyfir the monthly box in December. I had ordered several previous monthly boxes on sale and enjoyed each one. I will stay with the quarterly box but am really sad to lose the monthly box. So many of you seam pleased so I will just wait and see what happens. Bombay and Cedar is $50/mo + shipping, if you like essential oils, interactive books, and an overall relaxing theme, but it won’t have the fashion accessories Popsugar does. LV Kiki is $15/mo for an assortment of 4-6 accessories. I don’t care for their jewelry but love the rest. You know, the December box has a claimed value of $225; so how will we come out ahead with this arrangement, if the boxes will now be $75 vs $40? But I’ll still go for it. Canceling. Rather spend 75 at tjmax. I get boxes because I like getting mail. The void of no mail gets filled by lots of smaller packages that are under 25. Less of a risk if I don’t like the items. Pop sugar was my highest priced sub. I ‘ll miss you Pop sugar yet 75 is out of my price comfort zone. I agree with Lily. My reasons? It’s a bigger gamble on 1 box. It’s not like the quarterly box is equal to 3 of the current boxes. That would be about 18 items. That won’t happen. If the values are higher end in the quarterly box, they might be something the person might not use. Makeup in colors that dont look great, earrings for someone that does not wear earrings. Then it would be back to swapping for more stuff i probably dont need or wont use. – To much of a risk. Well, I have mixed feelings on this. My sub is up in about 3 months, and I was already contemplating unsubscribing so we’ll see how it goes. I liked getting the box monthly, and haven’t been thrilled with most of the LE boxes (I’ve only purchased one – the most recent one). The monthly boxes were usually more hit than miss with me, and the items often made nice gifts. I also worry, like someone already mentioned, that this means we’ll be getting season-themed boxes (for example, I hate summer box items) without the option to skip a quarter. I do feel like this is a very abrupt announcement that should have been made earlier. They had to have known they were going to make this change for quite a while, but they waited until after Black Friday and after the holidays to announce so that they’d lock more people into trying this new “version” because they’d already paid ahead (gift subscriptions, etc). That obviously makes business sense but it’s also kind of shady. In the end though, I’ll be a bit relieved if they end up having less than stellar quarterly boxes because then I can axe another sub. I don’t even get PSMH but it makes me a little sad for some reason. I’m not sure why. Same here, I am not a subscriber, but I enjoyed all the monthly drama when spoilers come out. I don’t know how to feel either. My immediate reaction was one of disappointment (even my husband gets excited (well, pretends to be excited) for me, “Popsugar is here!” I LOVE getting a box every month and even though some items, like the trucker hat, threw me, the whole experience has been fun. I do have some leftovers but nothing beats the many lovely little items that are so handy as a hostess gift, get well gift and such. I guess we all will know in May … which is too long a wait… . I always have enjoyed reading PSMH reviews each month and have enjoyed the few boxes I’ve gotten from them (February is coming Friday!). I was never a loyal subscriber so I don’t have the urge to stay on for the $75 price mark, the tastes of the items they send often times are way off point for me. However, I’m pretty excited to see what they come up with! I’ll continue to look forward to this sub being reviewed on here! I also meant to add that I totally get what they’re saying as far as product overload. It’s honestly why I only have one active reoccurring subscription box now (Stickii Club) – I just have too much STUFF. Hazards of being a subscription box addict over the course of 5 years. I hear you! And also, great choice! 🙂 Four years in, Stickii and ipsy are my only remaining subs. I had an annual sub to PSMH last year and I found it very overwhelming. I’m on the fence if I like this or not. On one hand, I like getting a monthly box. I unsubscribed from Box of Style after the shipping and customer service issues, so it will be nice to have a box with more high end stuff. However, I have never really liked the PS quarterly boxes. I also had a lot of monthly box products piling up not being able to use everything in time. I guess I will find out in a few months how I feel about this! This is an opportunity for PopSugar to iron out the kinks with their shipping service. Hint, hint. Good point. Unless they ditch Newgistics I’m out. They lost both my limited edition and my Dec. box. It was a nightmare to get it refunded. I will give Popsugar a chance but as of right now I am completely bummed about this. Popsugar is the only lifestyle box that I get monthly currently since most lifestyle boxes are quarterly so them making this change is making them more of the same opposed to different. Also, I always put on every survey that I preferred lower priced items in the box so that we could have more items and more variety that more people would enjoy. So say that we had 6 items in each monthly box…are the quarterly boxes going to have 18+ items in them. No it will be the same 6-8 mark as it was before so this is the opposite of what I want really. I will give Popsugar a chance but not excited. This is kind of how I feel. I actually get a lot of use out of the monthly boxes, and look forward to getting them every month. There are so many luxe brand boxes already, I liked that this one was more ‘middle of the road.’ It feel like I’m getting cheated somehow. While I haven’t loved every single thing in my boxes since they launched, the ” specialness” of most month’s products far outweighed the occasional miss for me personally. I’ve been with them from the beginning. My concern is that we’ll have a lower value but specific seasonal Resort themed box in the Spring, a Summer beachy themed box when most of us don’t go to the beach in the summer, and the Fall and Winter boxes will follow suit with more homeware items like the SE boxes had but at lower price points for the items. Since Rachel Zoe does this so well, it’s hard to differentiate sometimes. But, they’ve had leftover boxes and I expect they are trying to get back to a pre-sold ” sold out” status. I’d like to give KUDOS to Pop Sugar for not having a history of filling boxes with expired products, China off brand makeup/ beauty products, and for usually having a really fun mix with their sourcing home, lifestyle and beauty items ( fitness seems to have gone by the wayside years ago). The quality of most products has been extremely good and I hope to see this continue. I’d pay $100 for a luxurious box per quarter, though, and hope they do re-consider the specific seasonal curation Special Edition boxes in addition to the $75 box of their favorite finds which aren’t so seasonally curated on an alternate month. I have a paid subscription through May and I am not sure how I feel about this. 75 is alot for a mystery box and I haven’t liked the past few limited editions. I am sad to see the monthly end. I want the February box now since it’ll be the last at the lower price point. I do like the idea of quarterly boxes and I think it’ll help Popsugar. I get Pusheen and have been thinking of canceling and switching to FFF because I am get overloaded with silly (but cute) items. $75 is too high for me, so I don’t think I’m the targeted audience for the change. GQ just came out with a men’s quarterly box! It looks pretty nice for $50/quarter. Getting it for my hubby to see how he likes it. Not sure how I feel about this! I Definitely have mixed feelings. I LOVE getting a monthly surprise in the mail, and this was my only monthly subscription! Can you ladies recommend a comparable monthly box I can subscribe to? I will definitely be keeping my Popsugar subscription, but I still want a monthly box! I would definitely look into Fab,Fit,Fun which is under $50 with a comparable value to the new popsugar quarterly box. I subscribe to both currently and really like the diversity of FFF products in each box. PopSugar’s add-on selection is just sad compared to FFF. FFF also has a strong user community and great discounts to purchase sponsored items (same brands as contained in boxes -past pr sent and future. Fab fit fun is consistently awesome at $50. I’m thinking I won’t risk the $75 on popsugar must have because the box has been so inconsistent lately. Popsugar must have does have a tendency to inflate the cost of some items. This has never made sense to me. Why say some odd number like that? It just sounds stupid. She means odd as in strange, not odd as in uneven. State the number or range: “the box will contain nine items” or “the box will contain 9-10 items”. Odd – a word that has more than one meaning. Your moment of learning for the day. Wow. She used the word odd. I knew exactly what she meant and still don’t understand how it is odd. Or should I say strange? Is that better? Don’t worry Christine, I understood you! Dea obviously doesn’t know the difference between odd and even numbers. Since 8 is a even number not an odd number. Dea is the one who needs to have a moment of learning. I think she was trying to say why wasn’t Popsugar more precise in saying the exact number of items that would be in the box. Instead of saying “more than 8,” why didn’t they say “9” or even “10” (if that was accurate). Of course it might be that they do not know what the exact number will be at this time if they are still working out the details of the box. Um she didn’t mean that 8 was an odd number as in the thinks it’s an even or odd Number. She Meant Why Do You Think Popsugar Saying 8 Items Was So Odd, As In Strange! And Just You Know 8 Isnt An Odd Or Uneven Number! Its An Even Number! Your Moment Of learning For The Day! Thank you. I don’t understand why people can be so nasty. I was just trying to figure out why she felt that way. Did not mean any harm lol my goodness! Agree, I thought this was so strange!! Boxes will typically have 6 more items but Summer will have more than 8. What? More than 6 makes sense but why 8? Maybe they’re just not sure yet? Odd indeed! My guess is it’s still part of the mindset PS has had for about 2,5 years regarding ” more is more”. An example would be their way of thinking: ” Give them a red plastic purse and a plastic lunch box instead of ONE luxury brand candle, a fave brand skin care product, or a clutch wallet”. They aren’t curating high dollar items if there are at least 8 products in a $75 full price box.. Maybe they wanted people to know there is no ” hero” item emphasis, IDK? I’m not expecting much in the way of ” special and high end” from here on out with the elimination of the SE boxes at a slightly higher price point but only 5 or 6 products, to be honest. For them to establish themselves as “MUST HAVE” again, I really think they should curate less items which each have a higher retail value/ usefulness for adult women. I think it’s a smart business move for them and it makes the boxes more special. It was getting over done with the mini, monthly and LE boxes. Can’t wait! I’m glad I’m in on the last Valentine’s month box and I’ll definitely sign up for the quarterly box! I’m going to need full spoilers before dropping $75. I would guess that I will purchase about half of these based on my interest in the LE boxes. It’s interesting that yesterday I got an email offering me to send 3 friends starter boxes for $5 shipping. No mention of being charged $75 on February 19 if they don’t cancel. I sent them to college students, but I think that’s going to be out of their budgets. Sounds like you are confusing this with FabFitFun. Popsugar and FabFitFun are not the same. FabFitFun has the starter boxes, Popsugar does not. I am happy with this change. I was going to unsub but now I wont! This is a good move on their part. I’m so bummed!!! I really looked forward to this box and felt they always had a better variety than the LE boxes. Sad day! Are they going to offer annual subscriptions? I think the quality will be more consistent now. I have often thought they have had too many irons in the fire which was reflected by, at times, poor customer service and occasional weak monthly boxes. I do think$75 is pricey. Since FFF offers the same (typically more) box value but for $50 and Zoe offers $400+ for $100/quarter, the price point for this seems a little off. But, I see myself signing up at some point. I guess this also explains the disappearance of the 3 and 6 month sub options. I think this is a great move…. PSMH is one of my favorites but sometimes it felt like it was geared to the VERY young…. feeling this higher end presentation might be a bit more universally appreciated – 🙂 YAY!!! Wonder if there will be a round of mystery boxes coming up in order to clear out stock? This was my first thought. Or better yet, another “build your own box” sale with 75% everything so you can get just what you want, no mystery involved! Oh, my fingers are crossed! As far as the new model, I have two quarterly subs already and only purchased the occasional PS LE box on mega sale, so it’s gonna have to be one amazing box/super good fit for me to shell out $75 for it. I really want a mystery or build your own box. I just signed up for February and was a bit sad i was too late to customize. Then I realized I like both gold and silver for the bracelet. It would be nice to have one of each. I’ve been a monthly PS subscriber for several years now, and while I’ll really miss getting a monthly surprise, I think that this makes a lot of sense to them and to subscribers. Given that I literally have a giant box full of things that I’ve never used and haven’t been able to regift or sell yet, my house will be happier too, LOL. Will probably also resub to Ipsy now, otherwise my only monthly box will be Sephora, and I’ve been really disappointed by that one lately. Well, that’s too bad. The monthly PSMH is my favorite box, but I’m always disappointed by their LEs. I’ll probably use up the credits in my account on the first 2 boxes, then cancel. Same here. The LE boxes never seem to be worth the price to me. The higher price per box makes me nervous. Yes I realize that’s about the cost of 2 boxes but that never came out all at once. I feel like since Fab Fit Fun got their act together PopSugar is trying to be them with Add-Ons and such. so they’re essentially just doing LE boxes (which were quartly already) for a cheaper price and axing the monthly. As fun as it was seeing spoilers every month for PSMH I think this is a good move for them. It seems I wasn’t the only one feeling over saturated with “stuff” and a quarterly Box is a great solution. I just wish one of the quarterly boxes would go “off cycle” – it looks like PSMH is attempting this by shipping slightly earlier than others. I subbed for Feb and was going to cancel but I think I will wait to see what Summer has in store. I’m bummed. This was my only monthly box. Most subs seem to be switching to quarterly so this must be a formula that makes more financial sense for them. I’m hoping the quarterly boxes won’t be cliche seasonal items. You can only have so many sunscreens, scarves, etc. really hope they have some original items. I am happy with this change. I hope they have the option for an annual sub. I prefer to pay up front. Will February be the last monthly box? Yes, February will be the last monthly box. My gut reaction was I’M SO SAD! I love getting the monthly boxes. Yes, some things were not my taste, but I just sell them off on ebay or gift them. This was the best monthly “lifestyle” box in my opinion. BUT, I do love the limited edition boxes and am excited to receive higher value items. Also, this will save me money! Soooo it’s good, I guess? Great move! I love Pop Sugar boxes, but every month was just too much stuff. $75 seems a tad high, but I’ll get the first one for sure and see how it looks. Glad to hear this! I think it’s a great change and will be so excited to see these new boxes. Every quarter makes so much more sense for these boxes and upping the value ! I signed back up for the February box and will keep it, I like the idea of them going quarterly. If I don’t like the first box, I’ll cancel. I can’t say I’m surprised. It seems like they always have a few months a year where the boxes just don’t sell and end up getting sold off on discount sites and as part of that 75% off sale that they do. I just got the email and I am happy! I was getting a little overwhelmed with the monthly as often some things were not compatible with my tastes – hope they can deliver as well as FabFitFun! Oooo. I might sign up for this one! I dropped FabFitFun after the mediocre winter box, and I have always lusted after the popsugar boxes. Not sure whether to be sad or happy. Super mixed feelings for me!!! I agree with you. I don’t know how to feel. I like a monthly surprise but, it might be better as a quarterly box. Maybe.